Ten weeks after the official launch of Infiniti Support Our Paras Racing, which will contest the Dunlop British Touring Car Championship in 2015, the first two injured Paratroopers have joined the team in full-time employment. Former Paratroopers, ex-Colour Sergeant Darren Fuller and ex-Corporal John Price, will now be based at the team’s newly refurbished HQ at Mallory Park in Leicestershire. 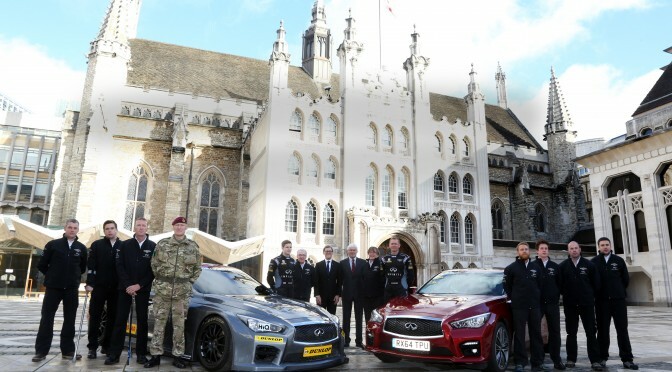 Both will soon be joined by a further four ex-Paratroopers, who will also be employed by the team to work on, and prepare, the two NGTC Infiniti Q50 race cars. Infiniti Support Our Paras Racing is the not-for-profit team which will help raise awareness of, and funds for, SUPPORT OUR PARAS, the official charity for The Parachute Regiment. The latest development by the team was understandably welcomed by both Darren and John. It was a sentiment backed by Darren, who believes the team’s commitment to employ injured ex-Paratroopers sends out a strong message. “I hope what we are doing will send a great message to all the injured ex-Parachute Regiment soldiers,” Darren said. “Not only can you still achieve great things despite your injuries, but we as a team will be out there week-to-week raising awareness and funds for the SUPPORT OUR PARAS charity, which is there to help and support our wounded, financially and otherwise for years to come. There may come a day when we all need a bit of help and support, and the SUPPORT OUR PARAS charity aims to provide this. 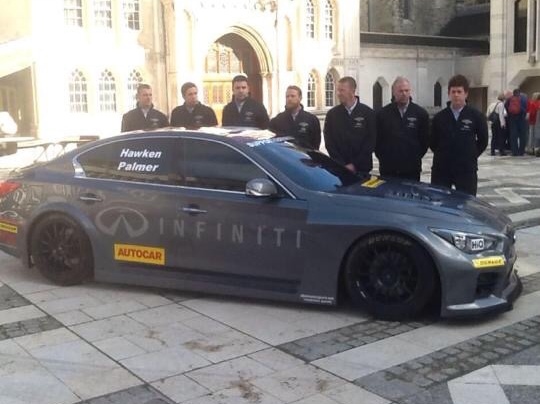 The team will unveil its latest Infiniti Support Our Paras Racing NGTC Q50, resplendent with a new eye-catching livery, at the Autosport International Show at Birmingham’s NEC.